When you live in Japan, Hanko (判子/seal) is an item you must have. Any occasion you sign in the Western society; contract, opening a bank account, buying a car, renting a flat, receiving your parcel etc… you stamp your hanko. 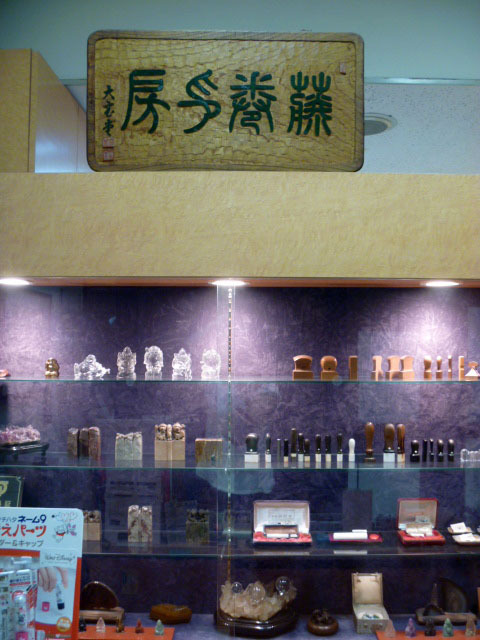 Hanko, also called Inkan (印鑑) come in different sizes depends on the purposes. For general use, invoice, receiving parcels, attendance book, people use Mitome-in (認印) and this is usually only the family name. 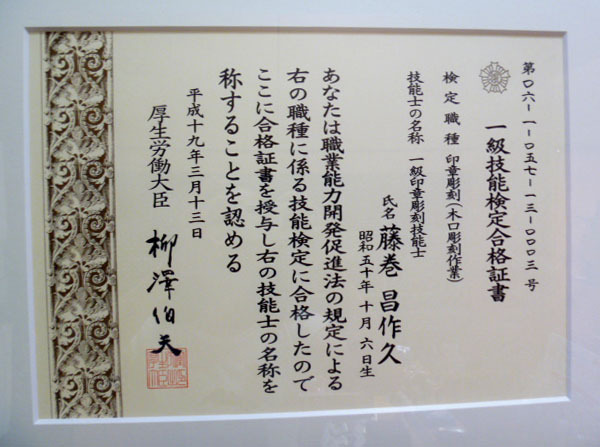 Jitsu-in (実印) is the most important hanko, which proves the person. You must register the seal to the local municipal office and get approval. Jitsu-in entails the rights legally and socially and also the obligation. 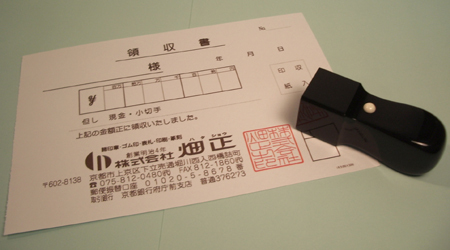 This hanko is used for notarised documents, leased deed, contract, real estate transactions, inheritance, when you become an incorporator or car registration. Usually it´s carved both family name and the first name. It´s safe to keep it separate and some people even keep jitsu-in in a safe box. Ginko-in (銀行印) is used for any activities related to the bank. Usually it´s only the family name. The problem of having accounts in several banks is, if you use one seal for all the banks, you will have to register new hanko in every bank you have the account. It´s recommendable to have different hanko for different bank. There are more hanko for other purposes but these three are the most common ones that any Japanese citizen has. When you start living in Japan or visiting and like to have your own hanko, you wonder, Where to make my hanko? 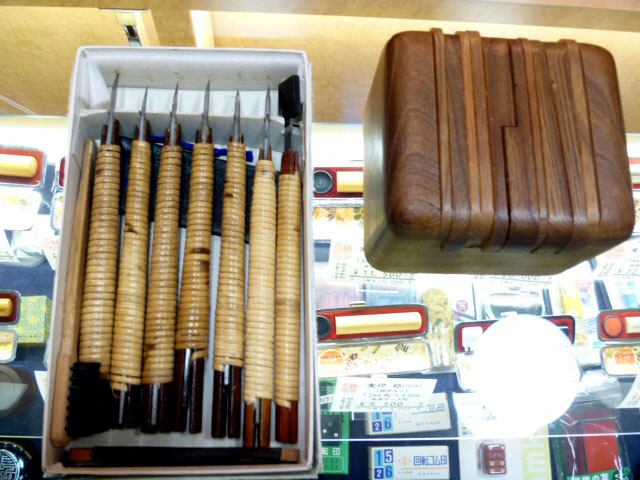 While ago, I visited a Hanko shop in Tokyo. 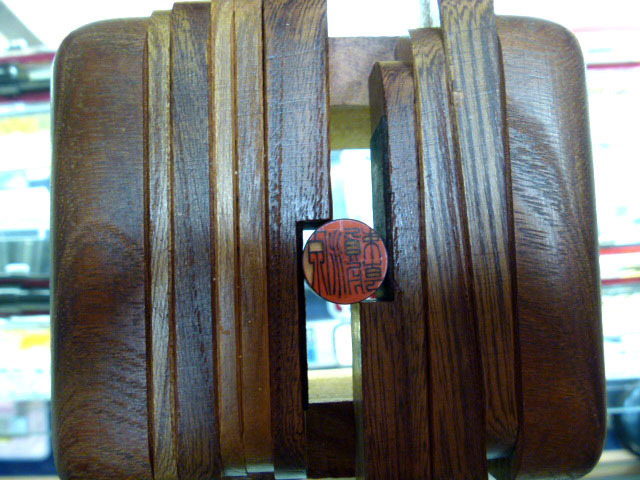 Shousaku Fujimaki (藤巻昌作久), the director of Taihodo (大宝堂) showed me how to carve a hanko. 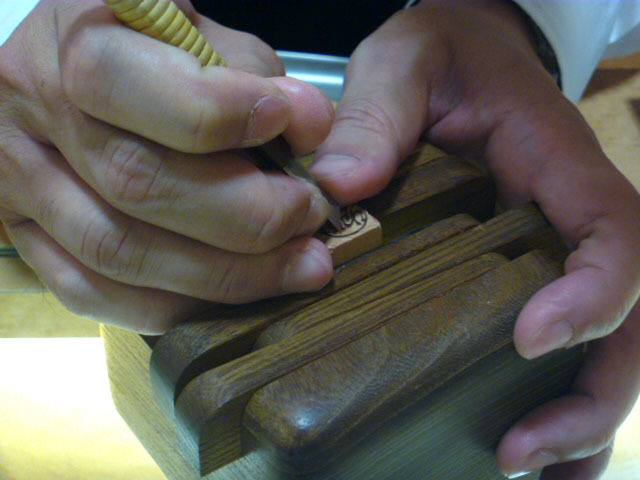 He is a certificated first-class engraver. First you need to write the name on the seal, which can be 12mm in diametre. 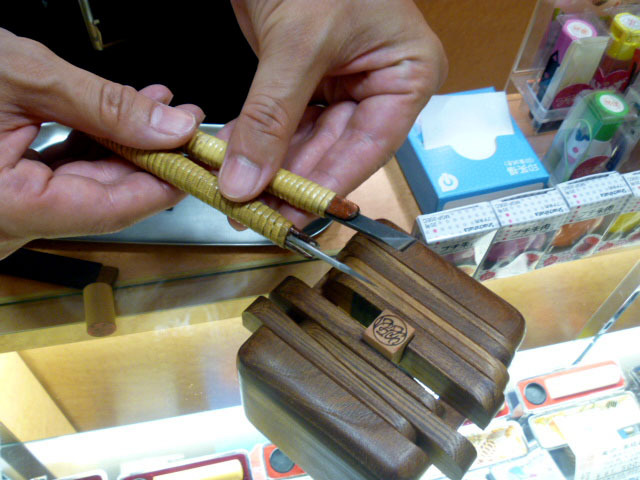 To be a hanko engraver, calligraphy skill is required. This adjustable wooden frame is used to stabilised the small seal base. Different size of chisels are used for carving. The materials of the seal are boxwood, water buffalo´s horn, cow´s horn or ivory. You can chose depends of your budget. By the way, the ivory they use is the stock from the time before ivory trading has been banned. Not illegal. Even a millimetre of mistake can destroy all your effort. “A little demonstration” Fujimaki said but his face immediately changed to a shokunin. This is the tool the seal master uses. 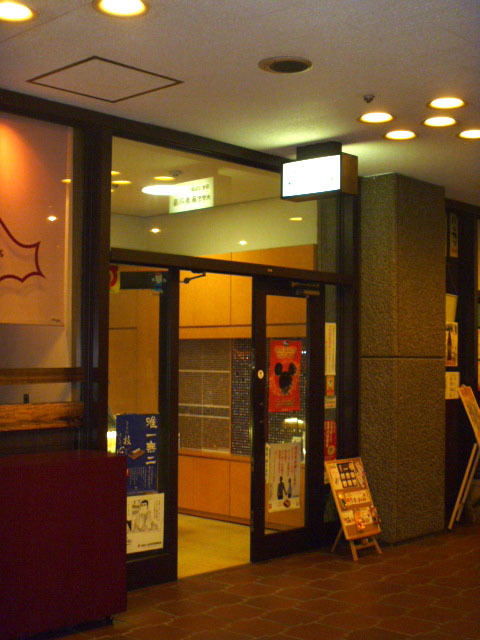 This is the shop entrance. 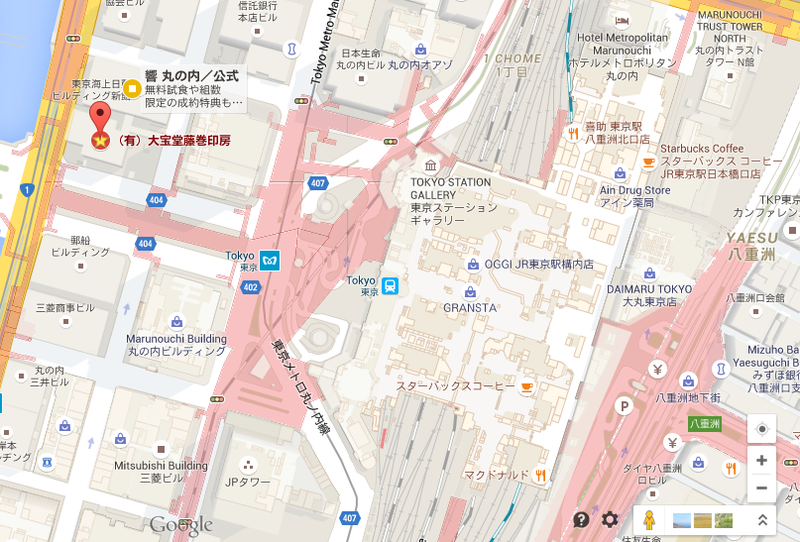 It´s a walking distance from the Tokyo Station but the shop is on the lower level. Don´t miss it. Even you don´t have Kanji for your name, don´t worry, Mr. Fujimaki will help you to find the beautiful character. Since Jitsu-in proves your identity, it´s recommendable to have an original hanko to avoid a copy. Perhaps you like to drop in Taiho-do. If you are calligrapher, they make rakkan (落款) and the result is beautiful. The map. Walk towards the Imperial Palace. Tell Mr. Fujimaki that you saw iromegane, I´m sure you get an extra service. To make your hanko or inkan in Tokyo, I highly recommend to give a visit to gofukudō 五福堂 in Kita-Senju. The guy over there is a true artist and an incredible gentleman. Hello, I’m currently in Tokyo and I wanted to make a personal hanko. I’m thinking of using only one hanko for everything, so can the jitsuin be used even on opening bank accounts? Also my name in katakana form is quite long, in this shop which you’ve recommended, can they convert my name into kanji? Also my nihongo is not quite good yet and so I may not be able to speak my thoughts well to the shop staff, can Fujimaki-san speak in english? Hello, I’m currently in Tokyo and I wanted to make my personal hanko. I’m thinking of using only one hanko for everything, so can the jitsuin be used even on opening bank accounts? Also my name in katakana form is quite long, in this shop which you’ve recommended, can they convert my name into kanji? Also my nihongo is not quite good yet and so I may not be able to speak my thoughts well to the shop staff, can Fujimaki-san speak in english? I want to make my personal hanko. Would you like to make it in Katakana or convert into Kanji? I think they charge you for the letters as well as the size and the material or the hanko. If you order from Taihodo, write to Shosaku and tell him that you are my friend. The lady misunderstood that you wanted to buy the one already made.But obviously the name you showed wasn´t there. So she said no. Mr. Fujimaki apologises for your inconvenience and says that he will do it for you. One thing is, the price is based on two letters and as you have three letters, the extra cost will be added. If you think it´s fine, visit him in the afternoon. Mr. Fujimaki will explain to you (with a dictionary this time). I thank you for your help and reply, I apologize for troubling you. I’m sorry that Mr. Fujimaki is not well and hope that he will get better soon. I wanted to order a few Hanko for ginko-in for myself, brother and mother. We all have our mandarin name which are also available in kanji with the same meaning. I showed her this 莊秀麗 first, I suppose she didn’t have it in the shop and not able to make it? So she wave and shake her head. I just thought that the shop can have it made that’s why I came. I understand now that it’s because Mr.Fujimaki is not in the condition in working yet. Thank you for the information. I will come back again next time. Correction: My apologies, I meant juju.kurihara. Not kurihana. Just arrived here, a lady was in the shop. She doesn’t speak English and just wave her hand no when I show her my name to make Hanko. 🙁 went all the way here for nothing I guess. I´m sorry you travelled for nothing. Apparently Mr.Fujimaki had a car accident a month ago and got out the hospital quite recent but both of the arms are broken. Perhaps he is not in the condition of working yet. But I could help you. Did you go there to ask something or you wanted to order a Hanko? Do you have your name in kanji or do you want them to find nice kanji for you? I can send them an email and ask for you. I´ve spoken to Mr.Fujimaki. He will ask the lady what did hand wave mean. But he says even though they don´t speka much English, they attend to any English speaking customers. We will know what happened to you. 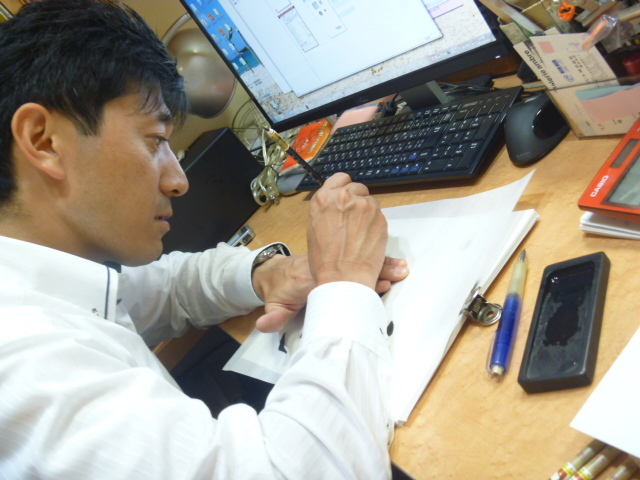 Since Mr. Fujimaki has to go rehab every morning, he is now at the shop in the afternoon unless he has a meeting. So wait a little and hope your next trip don´t get wasted. Regarding to the Hanko. 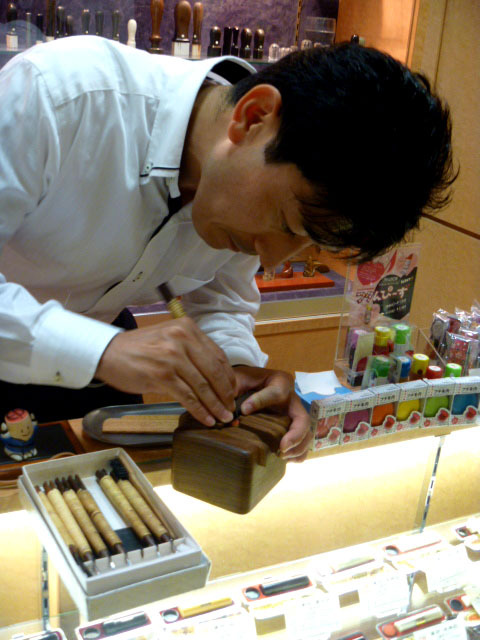 How much does a Hanko in the shop of Mr. Fujimaki cost? It depends on many things. First the material, different woods, stones or bones. Then the size of the seal. Also depending on the number of the characters, the price will change. The best is send them an email or go to talk to them if you are in Tokyo.